Adu: A lifeline to chasing the dream...again. Per the Washington Post: DaMarcus Beasley is seeking a deal at Pachuca. Per Brian Strauss and the Sporting News: Herculez Gomez has moved from Pachuca to Tecos. • A small, abstract positive if Freddy Adu has a positive Gold Cup? Perhaps a little bit more showcasing for Adu to move to a better team more in the limelight or against better competition. That next could have the positive see-saw effect of Adu developing further for the US national team. A lot hanging in the balance here for Adu and his US Soccer career this June. • Obscure loser in what we’ve dubbed #fifapocalypse: Sunil Gulati and USSF. 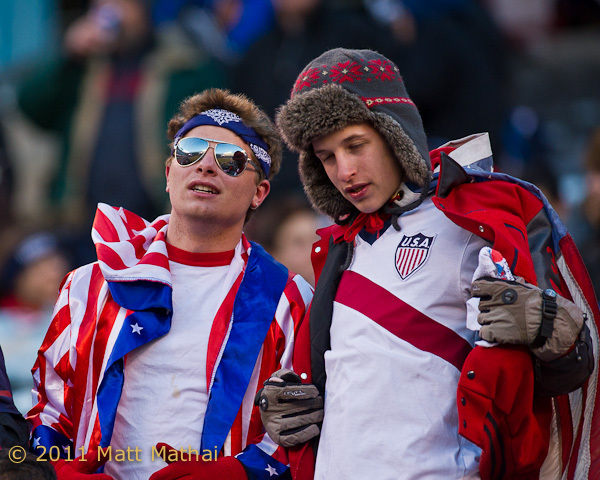 Sure you may suggest that the United States and perhaps a World Cup 2022 bid may yet be in the offing if Gulati and USSF remain mum. However, think of the positive marketing that the federation would be reaping now if they tactfully and quietly voiced their concern after the World Cup voting process. The United States had an excellent platform to project their concern on the selection process: the technical score of their bid was very strong while Qatar’s ability to host was called into question. Instead the United States, in a very un-American way, decided to keep quiet as a country that does not recognize equal rights made of with the prize. 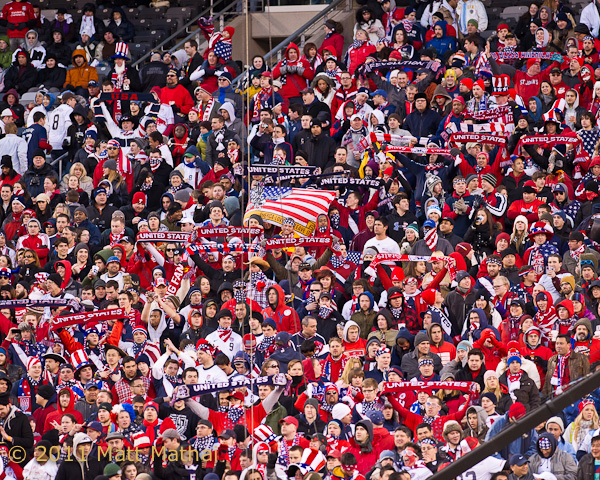 It is worth remembering that with the acknowledgement of the temporary CONCACAF World Cup qualifying format and the lip service of considering a seasonal switch of the domestic MLS league to the traditional soccer schedule that the United States still pandered to FIFA, although perhaps not monetarily. All of this to this writer, makes USSF look nothing but weak on the global soccer stage. 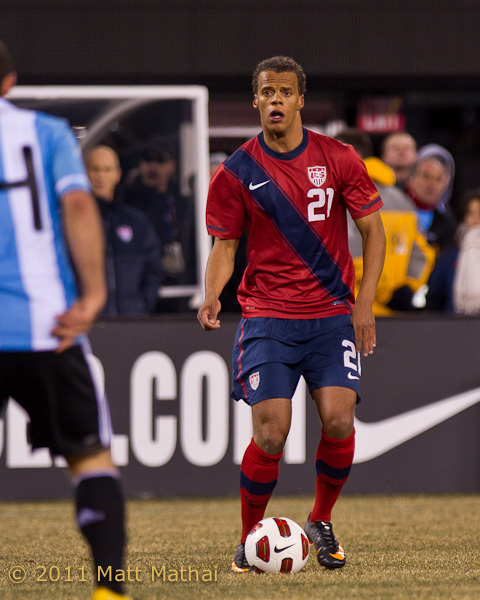 • In case you missed it, Brian Sciaretti talked to Timmy Chandler’s agent who commented that it was a mutual decision of everyone involved to forego the Gold Cup. Agent Thomas Kroth also commented that a possible change of heart by Tim Chandler to investigate his German national team potential was not at all behind the move. While it’s a negative that the US can’t introduce Chandler this June, the move should give US coach Bob Bradley some leverage in dealing with Nurnberg, Chandler’s club team, in the future. For the US, since 2009, Holden has never played in a true attacking role. Yes, he played more advanced at the 2009 Gold Cup, but upon moving to the “A” team, he’s always played one one of the midfield flanks. 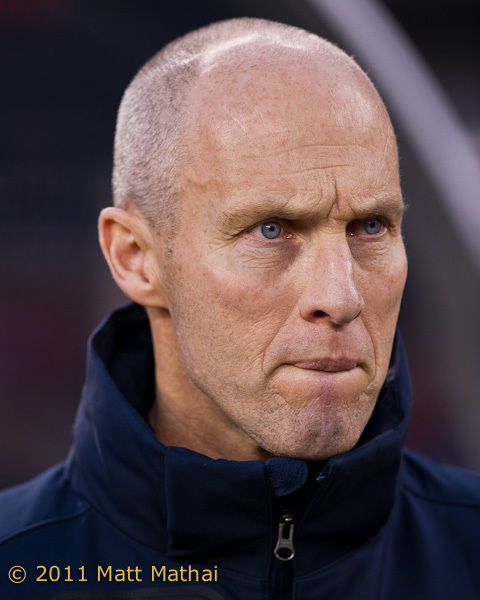 Bob Bradley’s primarily used Holden in the attack to link north-south to a striker or forward in front of him or to drive up that flank and issue a cross, not to create offense on the interior. For his club, Bolton, Holden has been used much like Bob Bradley has used Michael Bradley, as an advanced CDM (pardon the expression). Holden has typically been tasked defensively with taking the first attacker coming into the center of the pitch and then deployed offensively as link in moving the ball from the backline up the field. Not as a #10 or CAM. 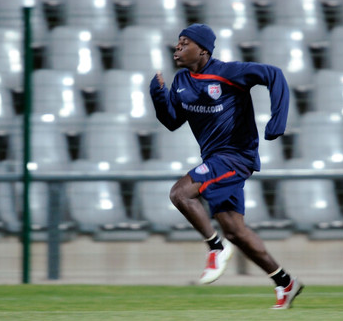 Conversely, Clint Dempsey, Benny Feilhaber, Eddie Gaven (as rumors have circulated that Gaven was extended a camp invite) or even Mix Diskerud have been used a more of the an attacking midfielder for the States and this is presumably the role where you would try a Freddy Adu. A role where a player can take on a defender and beat him if the opportunity presents itself or slot a pass to a teammate for a scoring opportunity if the defense is drawn. Also, don’t rule out Bob Bradley using Adu–because of his speed with the ball and handles–as more of a second, withdrawn striker from time to time. The winner of the 2010 TSG “Don’t Tread Video Challenge” makes a special appearance today. For those that have entered for 2011, voting commences on Monday! 5. Will a wrong-footed leftback be considered and can they be a difference maker? 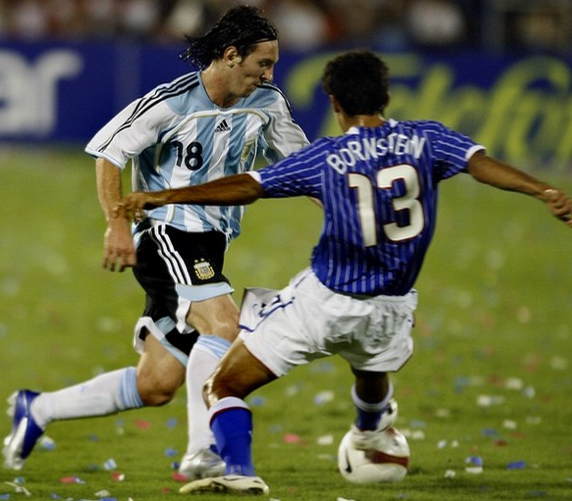 The US leftback position hasn’t been a star level since, well, since forever. Carlos Bocanegra has been more than serviceable in the role, playing smart positionally, but never really offering a lot going forward. For more than two years now, Jonathan Bornstein has been his understudy, unfairly criticized by fans because a major mistake in his neck of the woods is magnified by the damage it can cause to the scoreline. Bornstein, alas, has more warts as well. The challenge for Eric Lichaj or Jonathan Spector excelling in that role is dualfold. First, the worst thing a Yanks defender can do–besides being out of position–is author a turnover when the team is countering up the field that leaves the defense unset, out-of-position and caught out–and with no help from the midfielders. The last World Cup cycle bore witness to game-alering turnovers (not just by defenders) when the team on the counter or possession had just flipped: Ricardo Clark against Ghana, Clint Dempsey against Honduras in Chicago, Oguchi Onyewu against Honduras, Benny Feilhaber against Italy all come to mind. Lichaj and Spector have tendencies to do this on their strong foot; their right–which would be right into a counter attack for the other team. Step one to challenging for a leftback role will be this. Step two, is how do you involve either in the offense. Probably the best you’re asking for is an in-bending cross that finds the head of Clint Dempsey or Chris Wondolowski this summer. Bob Bradley has shown a penchant to–correctly–and ultimately favor left-footed players at left back. Unless Lichaj or Spector are turnover prone–relatively–in camp and provide the ability to author a looping cross from that flank, bet on the role staying with Bocanegra and Bornstein. Um, not that Robbie Rogers shouldn’t git it a shot, because he should. 4. Is it centerback by committee or is it a Clarence Goodson vs. Oguchi Onyewu vs. Tim Ream et all? First, let’s dispel one notion here. Oguchi Onyewu is not washed up or doesn’t deserve less of a shot to play. Let’s put Onyewu’s status in perspective a little. It typically takes 18-24 months to come back fully from a major knee injury. We are just in that “sweet spot” right now with Onewyu. He’s not the player he once was; and he may never be. Ironically enough it’s not the physical discount that has hurt Onyewu upon his return in my opinion. It’s the challenges with things he already struggled with, that being distribution and focus to be positioned correctly. If you watched Onyewu trail out and protect against Messi when the Yanks played Argentina he did an above average job in that aspect of his game. 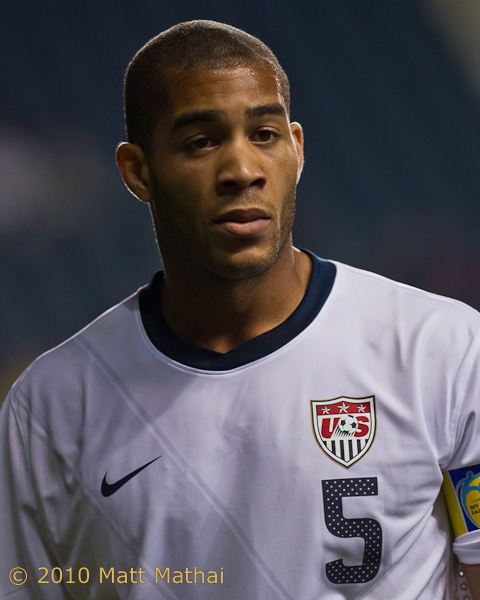 Onyewu, rightfully, will play when the States take the field in the Gold Cup. He’s a seasoned veteran who knows the competition well. But a larger question looms for Bob Bradley, that is who does he start grooming through World Cup qualifying and how soon? Is Clarence Goodson really the answer in 2014 or should he merely be seen as a stopgap until a player–perhaps–like Ike Opara or Gale Agbossumunde comes along. Will either of those players–or ones of their ilk–be seasoned by then as well. Centerbacks typically have more experience. For all the marbles at Wembley. Sir Alex chooses the more balanced formation and keeps Chicharito to start up top with Fletcher only making the bench. Man United leads with: Van der Sar; Fabio Rio, Vidic, Evra; Valencia, Carrick, Giggs Park; Rooney Hernandez. * Interesting selection of Abidal, great story but is he ready? Manchester United vs. Barcelona in a rematch of the 2009 final in Rome. I’ll take the probably very clichéd contrarian approach of suggesting that Manchester United will take this one. Barcelona certainly has the upper hand and there is not reason that their possession-oriented “attack” shouldn’t work on the divots of Wembley. Alas, why Manchester United could win? 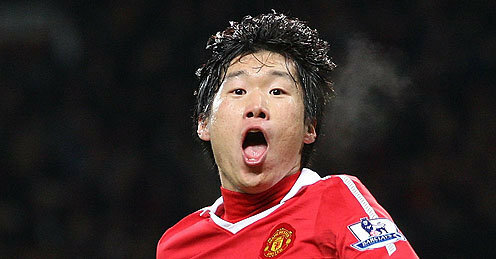 • Ji-Sung Park:…. The effect of Park on the game for United cannot be understated. I haven’t looked at other previews, but I would imagine that this is a central theme in most of them. With Park, you have a player with the speed and ability to quickly jump into the offensive play faster than their marker can join, but recover on defense to stop said-marker who has now become attacker. Park will tuck in and provide a highly effective ability to know when to double down and help on defense and will also provide a quick outlet upon a turnover. He’s the safety valve both ways. Bulletin July 2012: Michael Bradley to Roma. 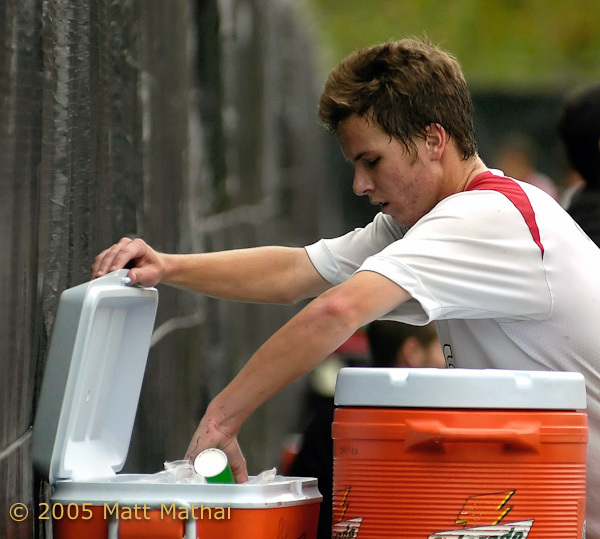 MB90 with a Gatorade and “smile” circa a DCU Reserves vs. Metrostars match in October 2005. The skinny: After coming back from injury, the captain increasingly found the pitch for Villa as they navigated away from relegation waters. Petrov’s calmness on the ball and “been through it before” resume certainly contributed to his name being on the first eleven team sheet more often than not through the first half of 2011. Whereas it though Petrov might be encouraged to move on from Villa at year’s end, it now looks like a sure bet that he will finish out his contract, training his days at The Barn. • Today, Nigel Reo Coker and Robert Pires were released by Villa. The skinny: Pires was done-for well before today at Villa. He rarely contributed through the 2nd half of the campaign. As for Reo-Coker, it appears that the demand for his services is paramount to what Villa was willing to ante up to procure his services. Very interesting indeed and it moves up Michael Bradley now to 3rd or 4th in the pecking order, depending on how one evaluates it. Delph, a star in the making for England, will certainly be given more chances in 2011. • Ashely Young and Stuart Downing are both “plotting their escapes” from Villa. The skinny: Ashley Young is rumored to sign for Manchester United (oh my) on Monday. While Stuart Downing this past week did an abrupt you turn and said that he would play out his current contract with the club. Downing’s future is more of a mystery, while Reo Coker sees assured of moving to a stronger side, be it in the EPL or elsewhere. The impact here? How will Villa uses the funds secured from moving Ashley Young. With Mark Albrighton in reserve, they may not opt for another winger and it’s well known that Houllier loves his central midfielders. • Borussia Moenchengladbach escape relegation on Wednesday with a win over Bochum. 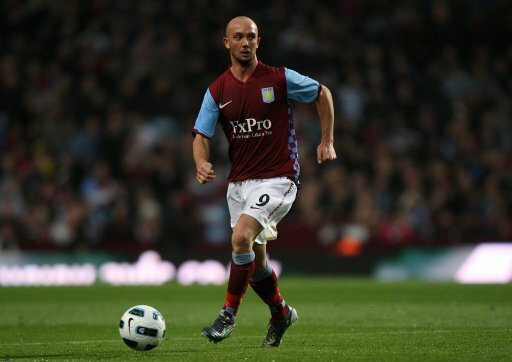 The skinny: Bradley of course went on loan from “Bo Munchen” in January to Villa. Many different reasons why the transfer ensued–American media reports say he put in for a transfer while German reports are mixed. Either way Gladbach can stomach the return of Bradley from a roster cost perspective in 2011-2012, though (thanks to @amfid on Twitter for the next part where I originally erred), Gladbach Sports Director Max Eberl said in an interview that there is no way back for Bradley. Additionally, Havard Nordtveit (20) and Roman Neustädter (23) doing well in the dual holding roles and Gladback reportedly seeking a new player for this position in young Matthias Zimmermann (2009 U-17 euro champion with Germany) a talent from 2nd Bundesliga team KSC set to join Gladbach in the center. From fans that have cascaded through TSG, the sentiment seems to be that they want Bradley to transfer and get a decent price for him. Going into June, Michael Bradley will be a key figure for the US in their pursuit of Gold Cup victory. Incredulously, Bradley has played nearly as many international minutes thus far in 2011 as he has club minutes. A strong showing in the Gold Cup would help Bradley, but most of the audience for the tourney is here in the States, not abroad. Best bet for 23-year-old Bradley? Back to the Bundesliga or slotting in with a mid-to-bottom table side EPL side if Villa declines to make the move for him, perhaps a Wigan. Roberto Martinez obviously did the American World Cup coverage for ESPN and saw quite a bit of the Bob Bradley’s son. Wild card? Let me toss out Everton, long with a storied connection to Americans as well as rumors of Jack Rodwell moving on. Bradley would be a fine complement there to the possession, less-defensive oriented hubs of Fellaini and Arteta. Our bet right now? Villa makes a short term (2 years?) play for his services. With Reo-Coker out and Bradley already familiar with the system, Bradley would seem like a good bet in the midfield committee for the Villians. Villa has until May 31st to decide if they want to accept Gladbach’s transfer terms. That said, it sure looks like Gerard Houllier is jettisoning Americans at the club with Brad Friedel rumored out to Liverpool and other realms, with Brad Guzan likely moving to a Championship side and with Eric Lichaj saying he wants to stay at Leeds. Much has been made in the American media about the growth, and recent plight, of US international Michael Bradley. A polarizing figure to say the least. 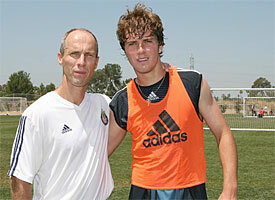 2007 USMNT camp: Tough guys.. Upon his Dutch success, a big move to Bundesliga side Borussia Moechengladbach (Bo’Munchen) was in the offing and Bradley became a fixture in their line-up during his time there (despite some clashes with the coaches). Bradley’s fixture status even extends to the USMNT national team where he played all possible minutes for the US in South Africa. This after being one of three players through the 2010 World Cup qualifying to play 1300 minutes or more for the States (the others were Landon Donovan and Carlos Bocanegra). Bradley and company played 12% more time than anyone else including stalwarts Oguchi Onyewu (injured in the final game of qualifying) and Tim Howard. Michael Bradley is resilient, oft-not-injuried, critical component of any team he plays on and his pedigree shows an upward moving level to his play. That notion makes Bradley’s next few months at his club Aston Villa all the more compelling. Having been transferred to Gerard Houllier’s Aston Villa side in the January window–until this past Wednesday in the FA Cup–Bradley had not played more than 45 minutes or started for club or country in 2011, astounding for a player who seems more and more effective the faster and faster his pitch odometer revolves. American media loves to use and re-use the statement that wherever he has went, Bradley has eventually earned starter’s minutes and made an impact. Man, Barry Bannan is like Deco-tiny, huh? MB90 being a bad Citizen this past Wednesday. However, while it appears Bradley will stick at Villa Park–his current playing time hiccup more a matter of game fitness than ability in this writer’s opinion–the battle for consistent and exclusive starter’s minutes may be less about how he plays and more about the dynamics outside of his control, specifically player contracts and manager tinkering. The crowded Villa centerfield has no less than eight players that could theoretically play for the 1st team or have played for it. It’s a good thing Ireland isn’t there, or else with fellow dome waxer MB90 it could get awfully confusing on the inside…. Ireland is out of contract this year and his chance of re-upping at Villa I would put at no higher than 0%. Isiaih Osbourne: England youth international Isiaih Osbourne appears to be moving on as well as Summer 2011 dawns. The 23-year-old is currently on-loan at Sheffield Wednesday–where they’ve been pleased with his play–but the same can’t be said for the Mothership. Osbourne–who was arrested, but not charged for suspicion to rob in 2009 further muddling his shot at Villa– has been loaned out four times by the senior side. Despite being 6’2”, 23-years-old and clearly having some talent, Osbourne appears destined to move on in the Summer when his contract expires as well.